(Feb 8, 2006) -- Winlink 2000 Utilizes enabling technologies and sound operating practices to provide a full-featured radio digital message transfer system, worldwide. Email transfer with attachments, position reporting, graphic and text-based weather bulletins and emergency communications are now available to the Amateur radio community by linking radio to the Internet. Winlink 2000 users, whether on the high seas, jungles of a remote region or traveling in an RV, have the ability to provide their family and friends with the state of their safety and well-being along with the joys of their travels. Mobile users may post their positions on a map and gain access to a host of global text-based and graphic weather information and other helpful material whenever or wherever they need it. The Winlink 2000 system is also utilized for emergency communications where local or regional communications are disrupted, including the loss of the Internet, and where accuracy of information is paramount. The Winlink 2000 (WL2K) radio-email digital network system is intended to greatly extend the ability of the Amateur Radio to provide a public service to the greater community by linking to the Internet email system. The emphasis is to accomplish this while providing additional features that are of particular value to amateur users for use in emergency management and everyday use to those in the Amateur service who may not otherwise have access to the Internet. The primarily purpose of the Winlink 2000 network system is to assist the mobile or remotely located user, and to provide emergency email capabilities to community agencies. Because of this, WL2K supports a clean simple interface to the Internet SMTP e-mail system. Using its own , any message sent or received may include multiple recipients and multiple binary attachments. The radio user's email address, however, must be known to the system as a radio user or the message will be rejected. This simple Internet interface protocol has an added benefit in case of an emergency where local services are interrupted and the system must be used by non-Amateur groups as an alternative to normal SMTP email. Connecting to any one of the WL2K publicly used PMBOs via HF (radio), or the specialized non-public ARES PMBOs, can immediately and automatically connect a local amateur station to the Internet for emergency traffic. A worldwide radio digital messaging system, Winlink 2000 also offers position reporting, weather bulletins and graphics, and emergency communication capabilities. It's already being used extensively by radio amateurs in the sailing and cruising communities as well as by recreational vehicle travelers, missionaries, scientists and explorers. The ARRL Board of Directors in 2004 encouraged the deployment within the Amateur Radio Emergency Service (ARES) of e-mail via Amateur Radio "as exemplified by Winlink 2000" to meet the needs of served agencies and others involved in providing disaster communications. 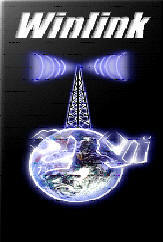 Amateur Radio volunteers responding to help in the wake of Hurricane Katrina utilized Winlink 2000 with great success. 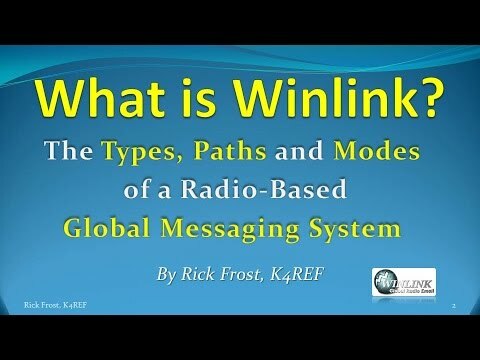 An informative winlink video is currently available that does a great job explaining the fundamentals of the Winlink System. It is available on YouTube. Click Here for the link. The Stark County Winlink Initiative began early in 2005 after a directive by Ohio Section Emergency Coordinator John Chapman, WB8INY to provide a workable Winlink Emergency Communications System in each of Ohio's counties. Since that time, Stark County ARES has been in pursuit of that goal. Our first duty was the formation of a Winlink Implementation Committee. These individuals are listed in the box at the left. We began this project in two phases. Phase 1 was to determine the needs of the county and our served agencies. Here in Stark County our ARES program primarily assists our Emergency Operations Center, the local Chapter of the American Red Cross, National Weather Service Skywarn Program, our area hospitals and local public safety forces. Our Winlink Initiative is being is being designed to serve and support these agencies. Phase 2 of this project is building the basic infrastructure to support Winlink communications. The first part of this was the construction of TelPac Nodes. TelPac takes advantage of internet connectivity and eliminates the need for local message storage. Users connect to the nodes using the basic packet protocol to generate and send email style messages through the Winlink system. During 2005 we successfully constructed and installed three TelPac Nodes around Stark County. Our first node was installed at the home of Technical Advisor Ralph Bugg, K8HSQ. This node allowed us to use and understand the function of the TelPac Node. We then began the search for suitable sites to install additional nodes that would cover the majority of Stark County. It was determined that we would divide the county into three parts, Western Stark - Central Stark and Eastern Stark. The second node was installed at the tower site owned by James Farriss, WA8GXM. This site is located in extreme Western Stark county and is located on a 100 foot tower. The callsign of the node is WA8GXM-10. At the end of the year we successfully installed a node on top of Mercy Medical Center that is our Central Stark Node. The callsign of this node is N8ATZ-10. Together these nodes cover nearly 80% of Stark County. We are still looking for a site in Eastern Stark County that will cover the Alliance area. The nodes operate on the two meter frequency of 145.07 Mhz simplex at 1200 baud packet. These nodes currently operate 24 hours per day and relay numerous test messages throughout the Winlink system. Our TelPac Nodes consists of a computer running the TelPac software connected to a Kantronic KPC3+ Packet TNC and a two meter radio. The Mercy Medical Center TelPac Node is pictured below. Currently these nodes operate at 1200 baud and are work well for normal style messaging and small attachments.. In the near future we hope to expand are current nodes to incorporate 9600 baud coverage that will greatly increase our efficiency and permit the addition of larger attachments to our Winlink communications. This station will have the capability of HF Winlink using a special Pactor III modem that will allow high speed data transmission without the need for a local internet connection. (Jan 20, 2012) -- According to Pudge Forrester, AAA9GL, government liaison for Army MARS, Lieutenant General Susan Lawrence has reversed the decision to phase out the use of the WinLink 2000 global radio e-mail system by Army MARS members. Gen. Lawrence stated that the Army, after reviewing its capabilities, had decided that the continued use of WinLink 2000 was a valuable asset to Army MARS members and agencies that were using the service. She issued a statement to that effect on December 21, 2011. On January 5, 2012, the Chief of Army MARS officially notified his membership that the phase out notice had been rescinded. Army MARS members and agencies who had been using the service hailed the decision by Gen. Lawrence and resumed use of WinLink 2000. (Jan 24, 2010) -- On Saturday, January 23rd Stark County Assistant EC Terry Russ, N8ATZ and Winlink Technical Advisor Ralph Bugg, K8HSQ attended the ARES District 10 Airmail/Traffic Handling Training Meeting at the TriPoint Medical Center in Lake County. The meeting was moderated by District 10 DEC Matt Welch, W8DEC who is trying to create training opportunities within his ARES District as well as introduce the Winlink Digital Messaging System to his area as an additional emergency communications tool for Disaster Communications. Over 40 Northern Ohio ARES members covering 5 counties attended the training meeting to learn about basic traffic handling procedures as well as take part in an Airmail Workshop. Bill Fraedrich, WB8LBI covered Traffic Handling while Terry and Ralph covered the Airmail Workshop that assisted the attendees with installing and configuring the Airmail Component of the Winlink Messaging System. (Jan 13, 2008) -- The Stark County Winlink Committee recently completed an upgrade of the Winlink RMS Gateway station at Mercy Medical Center to include the latest version of the telnet service. This new program allows Airmail messages to be connected directly to new Common Message Servers (CMS) sites, which gives the system increased speed and reliability. In addition, software has been installed that allows us remote access to the TelPac computer which will aid in diagnosing system problems without the need for a site visit. These upgrades were completed in early January by Terry Russ, N8ATZ and Technical Director Ralph Bugg, K8HSQ. The Western Stark RMS Gateway station is also scheduled for an upgrade sometime during the first quarter. (Jan 14, 2007) -- The Stark County Winlink Committee recently completed the installation of an Airmail station at Mercy Medical Center. This involved the installation of a TNC connected to the Yeasu Skywarn Radio in the Emergency Room. Cables have also been installed to complete the station. The TNC used for the project was the Kantronics KPC-2 that was firmware upgraded by Winlink Technical Director Ralph Bugg - K8HSQ. The Winlink Committee currently has about 10 upgraded TNC's that will be used to establish Airmail stations at most of Stark County area hospitals and other locations as part of the Winlink Initiative. This marks the first permanent Airmail station to be installed here in Stark County. All that is needed to establish a fully operational Airmail station is for the operator to connect up the TNC to a laptop serial input port and run the Airmail software program. This new emergency communications tool will allow E-mail style messaging directly to the hospital emergency room which will prove invaluable during disaster situations. (Oct 2, 2006) -- Members of the Stark County Winlink Team including Assistant EC Terry Russ - N8ATZ and Technical Director Ralph Bugg - K8HSQ again promoted the use of Winlink 2000 during a recent presentation to the University of Akron Amateur Radio Club. This marks the seventh presentation conducted by Stark Co Winlink to area radio clubs, ARES and Public Safety Agencies. Under the direction of U of A Club President Jason Stroll - KC8LIN, the club has been actively pursuing Winlink and has been working with the Summit County ARES to establish a TelPac Node at the University complex. At the conclusion of the of the presentation Technical Director Ralph Bugg completed the necessary installation of the TelPac software and Summit County now has a fully functional TelPac Node operating on 145.07 Mhz using the club call W8UPD-10. Over the next few months testing will be conducted to determine the effective range of the node but thanks to the excellent location that the University offers, coverage should cover nearly the entire county. (Feb 18, 2006) -- A program covering the Stark County Winlink Initiative will be held at the Multi-County Coalition Meeting on Sunday, March 26th at Tuscora Park Pavilion in New Philadelphia, Ohio beginning at 2:00 PM. The program will cover the basics of the Winlink Communications System and include a progress report of the Stark County Winlink Initiative. All visitors are welcome to attend. The program includes a PowerPoint presentation and will last about 1 hour. We will also allow time for questions & answers. The TUSCO Amateur Radio Club's repeater on 146.73 will be available for those needing assistance. PL tone (if needed) is 71.9 Hz. Contact David Lomady - WD8CKK on the repeater for additional meeting details. (Jun 12, 2006) -- On Thursday, May 25th Stark County ARES gave a Winlink presentation to the Summit County ARES. Presenters included Assistant EC Terry Russ, N8ATZ and Technical Director Ralph Bugg, K8HSQ. This marked the sixth Winlink presentation conducted by the Stark County Winlink Team. The presentation included our latest Powerpoint program on the Stark County Winlink Initiative followed by a live Airmail demonstration. The meeting concluded with a short Q & A session. The program was held at the new Summit County American Red Cross Chapter with about 30 Summit Co ARES members present. The program was very well received and much appreciated stated Summit Co ARES Emergency Coordinator Larry Fields, WD8ITF. Larry indicated after the meeting that they would like to proceed with the installation of several TelPac Nodes in the downtown Akron area which should offer solid coverage in the Summit County area. We are planning another meeting with them in the near future to discuss logistics and frequency considerations in setting up the Telpac Nodes. (Jul 23, 2006) -- On Saturday, July 22nd the Stark County Winlink Committee successfully relocated the WA8GXM-10 TelPac Node from it's temporary site to it's permanent new home in Southwest Stark County. It's new location is on the Tower site containing the MARC 147.18 Repeater and is using a Diamond Hi-Gain 2 meter antenna located at approximately 200 feet on top of the tower. This excellent site will provide superior coverage to nearly all of Central and Western Stark County as well as solid coverage into Eastern Wayne and Northern Holmes County. This site was made possible thanks to two organizations. The Massillon Amateur Radio Club who provided tower space for the station and First Communications who is graciously donating the necessary internet connection. It is thanks to their commitment to both the community and the Amateur Radio Emergency Service that this site was made possible and we thank them for their support of Stark County Winlink. A picture of the new station is shown below. The node is an old Gateway Computer to a Kantronics KPC3 and a Alinco 2 meter rig. With the basic infrastructure in place it is now time to begin the next phase of the Winlink Initiative. Currently there are dual band amateur radio's installed in all Stark County area hospitals, our Emergency Operations Center and at several other locations. These are late model Yeasu's that incorporate data inputs that will permit the easy installation of a TNC for Airmail support. We intend to commit to the use of Kantronics KPC3+ TNC's for all of these stations. We need to purchase suitable interface cables to connect the radio's to the TNC's. This will easily allow ARES members to establish a Winlink Airmail station at these locations and still allow the use of voice communications. The biggest asset to the use of the Winlink Emergency Communications System is our ability to setup and operate portable Winlink stations for use at the scene of a disaster situation. This involves training and equipping area amateurs with portable Winlink stations that can be quickly and easily transported to a needed emergency site. In cooperation with the Massillon Amateur Radio Club we also intend to setup a Winlink Station in their Emergency Communications Trailer. This station will have the capability of HF Winlink using a special Pactor III modem that will allow high speed data transmission without the need for an internet connection. This will greatly enhance our global operations using Winlink. All of the equipment infrastructure that we will have established however will be useless without operators to staff these stations during scheduled drills or a local emergency. We need operators willing to learn the basics of the Winlink Emergency Communications System. It isn't hard at all, in fact if you can send regular email you can operate a Winlink Airmail station. Do you own a Kantronics KPC TNC ? Do you have a two meter radio in your shack ? How about a computer running at least Windows 98 ? If you have all of these, you can setup a simple Winlink Airmail station right now. The software is completely free and we will show you how to setup and operate the station. If you have a laptop you can make your station completely portable. The picture below show a portable Winlink Station. That's all there is to it. In the coming months we hope to hold training classes at various radio club meetings to talk about our progress and show how the Winlink system will be used during drills and emergencies. We need your help if we are going to make this a viable addition to our emergency communications preparedness systems. We're ready - Are You ? Contact one of our committee representatives to learn more on this exciting new project. Airmail is a client side messaging program (similar to Microsoft Outlook in appearance) specifically designed for connection to a Winlink 2000 participating station and it is the program needed to generate email style messages through our county RMS Gateway Stations. The program is very easy to setup and configure using one of the compatible terminal node controllers (TNC's). Currently the list includes nearly all Kantronics TNC's (KPC3, KPC3+, and KAM's) are all fully usable and highly recommended. Several MFJ's are also usable, contact a local Winlink coordinator for details and assistance. In the near future, we hope to host Winlink Workshops to assist local amateurs in setting up either home or portable stations. Contact us if you would like to participate in a workshop. Airmail for Winlink is the creation of James Corenman - KE6RK and is available for download at http://www.siriuscyber.net/ham. The current release is Version 3.2.035. It is available at no charge at will run on nearly all Microsoft Windows Operating Systems from Windows 95 on. Jim's website also contains download and setup instructions. The following two presentations maybe useful in setting up Airmail on your system. BASIC AIRMAIL OVERVIEW - A pdf easy guide. THE STARK CO WINLINK PROJECT - A Powerpoint presentation on Stark Co Winlink Project. AIRMAIL BASICS - This is a Microsoft Powerpoint presentation. GETTING STARTED ON PACKET AIRMAIL - This pdf file also covers basic Airmail installation and operation. EMCOMM INSTALL - This pdf file by Steve Waterman, K4CJX - Winlink Network Administrator and member of the Winlink 2000 Development Team details the Winlink 2000 System as it relates to Emergency Communications. (Useful if you would like to review the very technical backround of how Winlink works). Army MARS HF E-Mail System Passes "Hurricane Test"
Which Speed for Winlink 2000 ? Feature: Which Speed for Winlink 2000 Packet? A Cautionary Tale (Feb 26, 2007) -- "When the going gets tough, the tough get going." When one ham decides to tinker with packet radio, he kept on going and did not give up until he had achieved what he set out to do. (Mar 2, 2006) -- After a thorough study of security and connectivity issues, the Army Military Affiliate Radio System (MARS) has launched the final phase of implementing Winlink 2000 with Airmail as a system-wide communication tool. A global MARS-Winlink 2000 network is expected to be in service by this summer. Winlink 2000 Network Administrator Steve Waterman, K4CJX/AAR4WU, a member of the Winlink Development Team, is the MARS team leader.